It now appears that all the Fummbl block dice have found their way to new homes. 1 Set of Black Opaque did get lost, but luckily I had a spare set to replace them. The other spares (1 set of white opaque, one of black pearl and a single red pearl dice) were put up on e-bay. With them going for for £12 a set here and being so popular I thought if I might get £20 a set with maybe £5 for the single dice, if I was really lucky maybe £50 total for the lot. The final price vastly exceeded all expectations with a single buyer winning all 3 auctions and paying over £200 for the 7 dice I had on sale! Since he paid so much I threw in a 4th Black Pearl dice I had along with a slightly miss-aligned black opaque dice to give him 3 full sets. That means all my spare dice have now gone. With that done I can now once again refocus on painting models. The first batch of Willy Miniatures undead have turned up, 8 zombies, 2 wights and 2 mummies along with a chaos dwarf and dark elf from Meiko. The 4 generic zombies were my starting point to get the colour scheme right. The team colours are to be based on the real life Seattle Seahawks and these players had what was closest to a contemporary American football team’s kit. I initially picked one zombie, painting his skin a mix of brown, grey and flesh along with a brown wash and turquoise glaze to get the unhealthy rotten tinge to his skin. The waistcoat and armour pieces were all painted blue and his trousers and helm was painted a very light silvery grey. All the leather items like belts, boots and gloves were painted dark brown with the metallic bits painted rusty silver. Apojar was happy with this, except for wishing the blue parts to be a little brighter. With the scheme sorted I painted up the other 3 zombies, using the same technique as the initial guy. The sole change was to add more highlights to the blue parts to lighten them, as well as reducing some of the contrast in the shading. These 4 guys are finished now, ready for basing, numbering and to be varnished. Next up was the 4 racial zombies, a former elf, amazon, orc and beastman player. The amazon and elf used a similar technique for their skin, but I tweaked it a little with lighter flesh and grey tones mixed in to show they had lighter skin when still living. For the beastman zombie I put a greater amount of brown into the mix and reduced the amount of flesh tone. The orc swapped in green for flesh entirely to give him the unhealthy look. Aside from the skin the rest of the painting was the same as the other zombies. I’ve ordered the 4 ghouls and now have a Skaven, saurus and hobgoblin to convert to zombies. Still need to get an ape and slann player as well as make the last zombie. After selling off a few models and my spare dice I now had funds sloshing about in my paypal account so of course decided to spend them on more models. 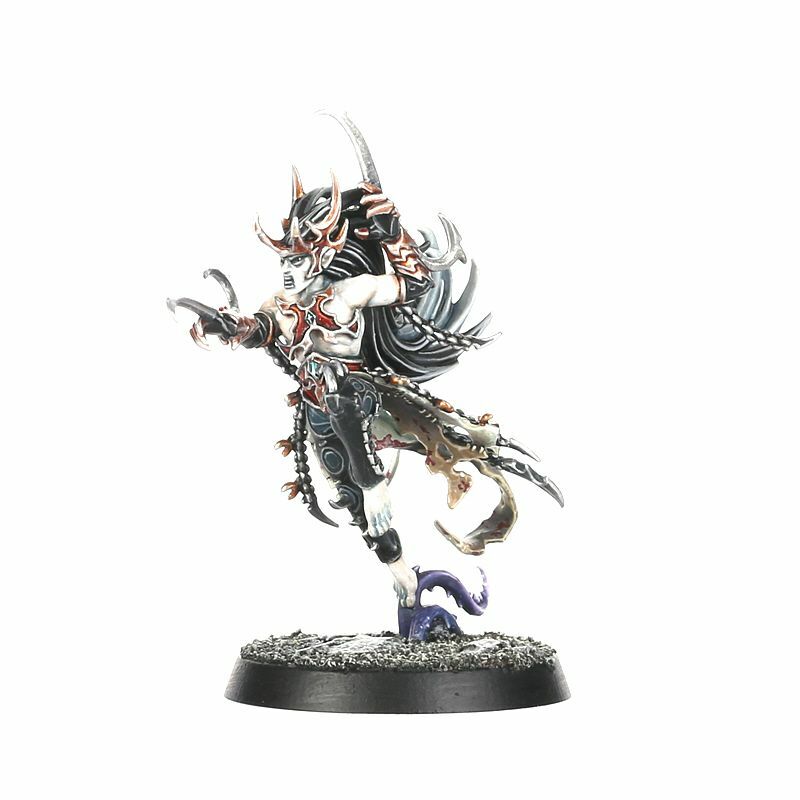 I used to love playing Warhammer Quest when it first came out and thought the new silver tower boxed set had some great sculpts in it. Unfortunately I don’t have room for the full game so just decided to pick up some of the models I thought had the best potential for BB conversions. The Darkoath Chieftain would be great for use as either a Norse Berserker or maybe a young Borak. In both cases he’d be holding a severed head is his left hand and his helm tucked under his right arm. I’d need to remove a few details and add some more armour, especially with Borak, but think he’d look pretty cool as a team centrepiece. I also got my hands on the Tenebrael Shard as he’d be perfect as either a wardancer or Jordell. All he’d need is the removal of the tentacle thing he’s standing on and the possible addition of a shoulder pad or some other bit of BB kit. 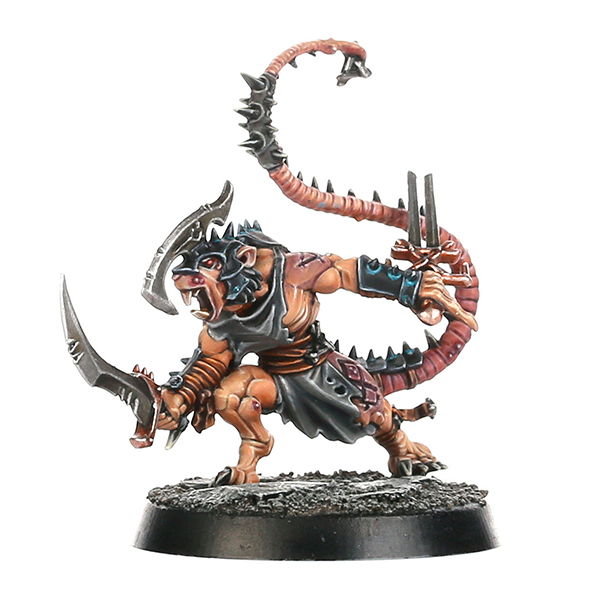 The last model I’ve bought it is the Skaven deathrunner to use as skitter. I already had deathmaster snikch, but he wasn’t Blood Bowly enough for me, the large black cloak seems a little impractical and ostentatious for a sneaky assassin. This model will work better with a head swap, exchanging the sword for a small dagger and adding a shoulder pad and possibly some other BB armour. Finally, I’ve created an Instagram account recently. It is entirely BB related and I have been gradually adding my back catalogue of model pics to it. I’m leaving out some of the older stuff as I am either not entirely satisfied with them or the pics I took are poor. I should have uploaded all the old pics in a week or 2 and will then start adding live updates as well as tweeting about them. I think there's an unlikely zombie romance beginning between the Orc and Beastman Zombies. If you look at the bottom pic with them facing away from camera it looks like they're holding hands. @cowhead - yep deffo romance amongst a set of the best looking zombies ever!! The "goal" with the Zombies was to have the possibility for league table top. What I mean is that I would like to be able to kill an opposing player, raise him (whatever race they may be) and just reach into the figure carrier for an appropriate Racial Zombie. The figures spubbbba suggested best represent the broadest selection of "raise-able" races, which is also based on what our Table top league permits. I would have thought halfling and goblin zombies would have been AWESOME, but (1) nobody plays goblins or flings in our league, and (2) I can't raise either of them. These are absolutely beautiful. If only my playing ability in the LIBBL (the Long Island Blood Bowl League) was as great as these players are.